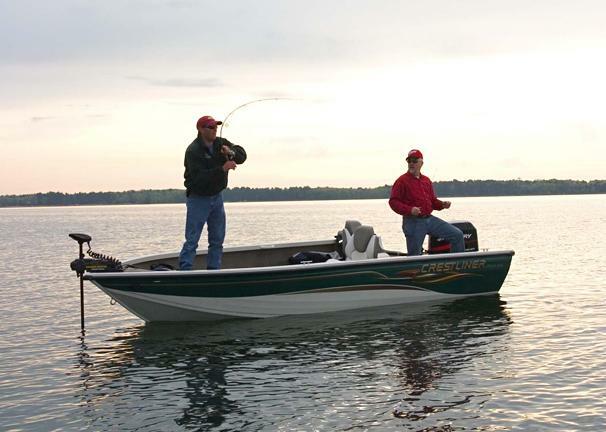 Boat Description Standard features on the Crestliner Fish Hawk 1750 Tiller include large livewells, baitwells, Pro-Form II fishing chairs, rod lockers and much more. And with its Tru-V UniWeld hull, the Fish Hawk gets on plane quickly and enjoys a high, dry, smooth ride. Fish Hawks have a huge following as a result of their construction, features, and beauty.